“At a NAMTA show, we bought ‘Art,’ a 6-foot-tall wooden manikin from Masters International. He hangs outside the front of the store wearing a Peace, Love & Art tee shirt and hat. “For adults and children, the Peace, Love & Art tee shirts and hats are popular. People stop to take their picture with him! Our sandwich board on the sidewalk is also an attention-getter, and on Sundays we put up balloons and a banner. Southern Methodist University dorm room furnished with American Made Items. Peace Love & Art Poster being one of them! Peace Love & Art graces the cover of the Fall-Winter catalog. To purchase Mugs, Magnets & T-shirts Click Here! Sedona residents can now show their support for art programs for youth by purchasing a unique and art-themed shirt, hat, or sticker created by a Kerry Bober artist and entrepreneur. “The timing was perfect because with the economy so slow, families don’t have extra money to send their children to art programs after-school and on the weekends, so many of Sedona’s children are not getting regular weekly visual art classes. Classes that used to fill up with a waitlist are not getting enough children enrolled to be able to run,” MacGregor said. Sedona Art Supply owner Tim Hurley, MacGregor’s husband, was more than happy to cooperate in the effort. “It made perfect sense to sell these products at the store,” he said. “They are colorful, art-themed and fun.” The store decided to match Bober’s donation in order to make an even bigger difference. “As a child growing up, art was such a huge part of my enjoyment and well-being so today, anyway, if I can support this for a youngster I am happy to do so,” she said. 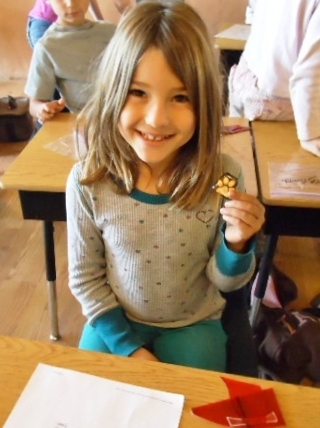 For more information on Arts for Kids, visit www.artsforkidssedona.com today.